November days seem to have sped past me here, and although I've been busy with lots of different things I don't seem to have much to show for them, though I have managed to snap a few pictures along the way. Autumn has peaked, with all it's golden glory and the trees have seemed particularly spectacular this year. Our November highlights have included misty mornings; sudden storms; golden leaves and golden skies; wood walks; sock and mitten knitting; comfort food casseroles and the first fire lighting of the season. Yesterday was the start of meteorological winter and it does feel like autumn is now over. Most of the leaves now lay strewn across the lawns, and the winds have turned chilly and persistent. It's a good time for curling up in a cosy spot and knitting warm things and I have been mostly knitting socks and mittens. I was so taken with this 'golden praline' colour that I'm using it in two separate projects and knitting from either end of the skein at the same time, not something to be recommended as it does lead to lots of bad words being uttered at the terrible tangles that develop. The pattern for the socks is 'Lucky me socks' by Pia Kammeborn and the mitten pattern is 'Alfredo gloves' by Suzanne Stallard. The yarns are all The Uncommon Thread tough sock, and I've paired the 'golden praline' with creamy 'manuscript' and dark, moody 'cobble'. My thoughts are now turning to celebrations of the winter solstice and Christmas and I'm looking forward to having our family all together again when Amy comes back in a couple of weeks. I've felt a little quiet and melancholy of late, so all of the sparkle, warmth and fun of late December and the New Year will be very welcome. I hope to be around here a little more over December days, so hope to see you again soon. Thanks as always for dropping in to visit with me. Thank you again for all of the amazing, inspiring, smile-evoking, heartwarming and generally all round lovely comments on the giveaway post. It's been such a joy to read them and to hear about all of the things, whether big and momentous or small and personal, that make you happy. Thanks for taking the time to share, I think I'll be dipping back in to read those comments whenever I'm feeling blue as they certainly lift my spirits. I've now updated the giveaway post to include the 2 winners and I've been in touch with both Nina and Linda and have had lovely excited replies from them both. I'm looking forward to seeing which of these animals they're going to choose. Once they've chosen their prizes I'll be finishing off all the rest of those above, who at the moment are each needing some finishing touches like buttons or tails and then (along with one more poor left-out girl lamb who is waiting to be sewn together) I'll be listing them for sale. As next week is half term break here I'll not get much work done but as soon as they are ready to list I will send out an email to my mailing list with specifics on times etc. There's a sign up sheet over on the right there if you'd like to be notified. Back on September 3rd it was my 12th anniversary of starting this blog, and in keeping with tradition (which admittedly lapsed a bit last year) I'm going to celebrate (a little belatedly) with a giveaway. In this crate are fourteen little animals that have been patiently waiting for me to finish them for most of this year and I am now nearing the point of completing them all. I will be putting them up for sale soon, but before I do I'm going to pick 2 comments at random from any comments left on this blog post, and those 2 people can each pick their favourite one as their prize. The draw is open to anyone and I'm happy to post for free anywhere in the world. If you'd like to be included just leave a comment below. You can write anything you like, it really doesn't matter, but if you have time I'd love for you to tell me about anything that has made you happy this week. B. Make sure you fill out you email address in the space provided (not in the actual comment field as there it will be displayed for all to see) so that I can contact you if yours is the comment picked. This post will be open for comments until 12 noon on Friday 26th October (a week from now). At that point I will close the comments and use an online random number generator to pick 2 comments, the first drawn will have 1st choice of the available animals and the second drawn will have 2nd choice. 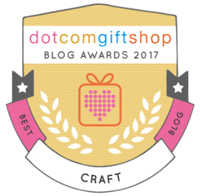 Oh, and please don't leave a comment on bloglovin or any other blog following service, as those will not be counted - only comments left right here on this post will be eligible for the draw. Congratulations on 12 years!! I've been with you from the beginning. Throw my name into the contest pool!!! Hello from the middle of the school summer holidays! This is a flying visit because free time is currently in short supply for me here but things are generally going well. Toby is being kept busy and the weather has been glorious, though a little hotter than we are used to. The reason I'm popping in today is to mention the two new patterns that I've released this morning. It has taken me so very long to finish these off - I've been working on them off and on for over 18 months. Originally I had designed the dungarees to go into the boy sheep pattern, but for various reasons decided against that. Then I was planning to dress the upcoming badgers in the dungarees and pinafore with T-shirts but decided against that too. It seems better that these clothes are stand alone patterns, as they will fit any of my animals. I had planned to launch them before the summer holidays started, but before they were completely finished life got in the way, as it is often apt to. Anyway, they are done at last, so here they are. The first pattern includes a pair of dungarees (overalls), a pinafore dress and a little toy which fits perfectly into the pocket (bunny or bear). The garments are knitted flat in 5ply or 4ply yarn on 2.75mm (US 2) needles and the little toy is knitted flat in 4ply yarn on 2.25mm (US 1) needles. The second pattern is a set of 3 sweaters. All are knitted top down with raglan sleeves and follow the same basic pattern with tweaks. The T shirt has narrow stripes, the long sleeve sweater has wider stripes and the cardigan is flared and knitted in one colour but you can switch those around if you prefer. There are instructions included for knitting them all flat with seams or in the round if preferred. I've also listed them on Etsy (or at least I will have by the end of the day). On Etsy both patterns will be included in a single listing at the already discounted price (as Etsy is not as sophisticated as Ravelry when it comes to setting up discounts) so if you only want one of the patterns you'll need to buy via Ravelry. Please note that over on Etsy you may be charged EU VAT on top of the price if it applies (EU member countries only). 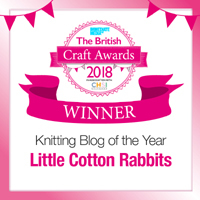 If you do give any of the patterns a go and use Ravelry please upload your pictures to the little cotton rabbits group so we can all admire them. 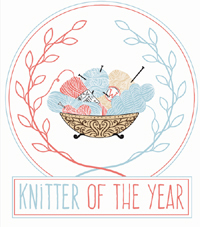 It's so exciting to see what others make from my patterns and I do hope you enjoy knitting them. 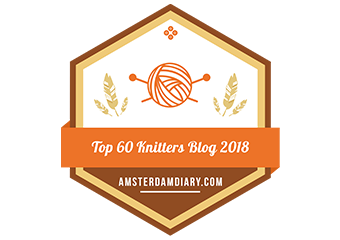 I hope to pop back soon with news of other knitting stuff and some pictures of what we've been up to here but in truth it might be another few weeks before I get the chance to, I look forward to catching up with you then.